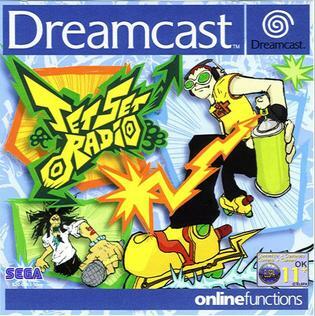 Among the strong line-up of unique titles to have graced the Dreamcast, Jet Set Radio was one of the most eye-catching games to feature on SEGA’s short-lived console. Smilebit would mix a pioneering visual style, a groovy soundtrack and addictive gameplay with great success, creating one of the standout titles on the Dreamcast. Even 18 years after its first release, there is nothing quite like Jet Set Radio and, needless to say, this game is definitely groovy. 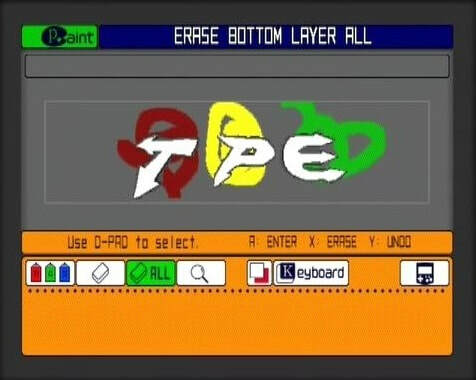 Jet Set Radio follows the exploits of rollerblading youths, who express themselves through graffiti. Beat forms a gang known as the GGs, in order to compete with several other rival gangs while also evading the authorities which include riot squads, choppers and a particular vindictive Captain Onishima. All the while, skaters are egged on by Professor K, a radio host who chronicles the story between missions. This sets up the game which consists of several story chapters, as well as side missions, across a handful of districts in Tokyo-to. Players can choose from a roster of skaters which grows via duels, which consist of either races or skill challenges. It’s a simple yet clean setup, making navigating missions a breeze. Jet Set Radio plays similarly to other extreme sports games, albeit simplified. Players can hold the right trigger to speed up, jump and grind certain rails. Tricks can be performed by chaining grinds between jumps, and the focus on balancing and pushing button combinations is removed. It’s more straightforward, but like the best arcade-styled experiences, each level presents a bevy of challenges to keep you on your toes. Earlier levels start off easier, with some law-enforcement but nothing which should prevent players from tagging all areas. Later levels throw in challenges like tougher guards, complex level designs and more tags to place. It builds very nicely, and while some of these can be very tough, they’re satisfying to overcome. Much of the game focuses on tagging, with story missions setting up several spots for you to tag, both optional and mandatory. After you collect spray cans dotted around the level, you can then begin tagging, which can be a smaller tag with one spray, while larger graffiti requires three sprays, and extra large spots which force several sequential tags. These play out with QTE-style analogue swings, which work rather well. Even cooler is creating your own graffiti, which uses an unfathomably in-depth system to make your own mark on the game’s world. 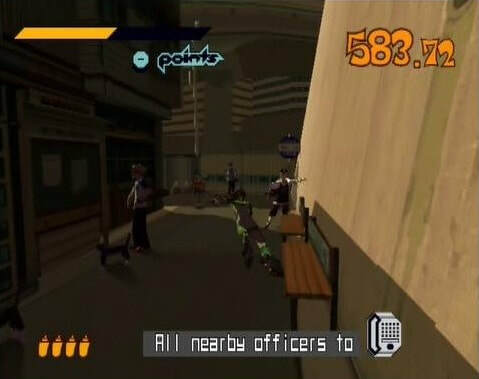 When you factor in Jet Set Radio’s mix of arcade-styled gameplay and customisation, it’s a richly creative game that is simple to learn yet difficult to master, and earning the coveted Jet rating is extremely challenging. 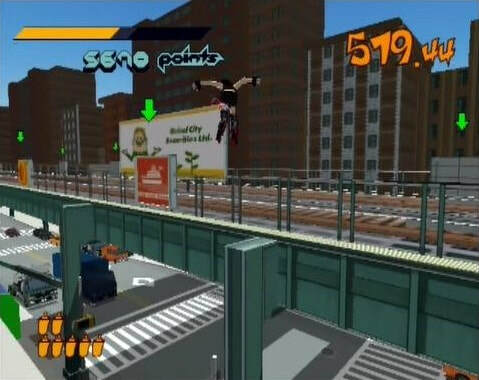 Jet Set Radio also boasts one of the standout presentations of the sixth-gen era. One of the first games to extensively use cel-shading, Smilebit has crafted a colourful world of bright contrasts, gorgeous animation and crazy character designs. Everything looks like a cartoon come to life, and it remains one of the most distinctive-looking games. The sound is also top notch, with a solid mix of original tracks and licensed remixes. Every track feels perfectly tuned; whether it’s the catchy and scratchy Let Mom Sleep or the guitar-led Yellow Beam, not a track feels out of place. The sparsely used voice work is effective, with Professor K’s multiple vignettes serving as a great way to add story between each mission. The only downsides are the camera which, without a second analogue stick, can be cumbersome to adjust, and some infrequent yet noticeable slowdown in visually busy areas. JSR will take most players around eight hours to complete, depending on how much trouble you have with later levels. But there’s plenty of reasons to return, as players looking to earn the rest of the characters will be forced to earn the Jet rating on all of the missions. This includes not only Story chapters, but also special side missions within each district, which challenge you to earn points through tricks, spray over every tag or race a rival. It can easily add dozens more hours to those dedicated enough to try to complete the game fully. Jet Set Radio is one of the Dreamcast’s standout games, basking in the tenets which help the console endure to this day. It mixes arcade-style gameplay, stunning presentation and oodles of challenge to a near-perfect end result, with precious little to complain about. It’s a game that any Dreamcast owner would be remiss not to include in their collection, and it is a fantastic starting point for those looking to invest in SEGA’s beloved console. "...stunning presentation and oodles of challenge combine with near-perfect end result. 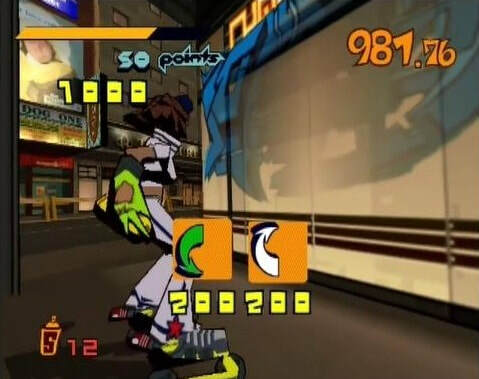 Jet Set Radio remains incredibly distinctive, and is one of the Dreamcast's standout games"